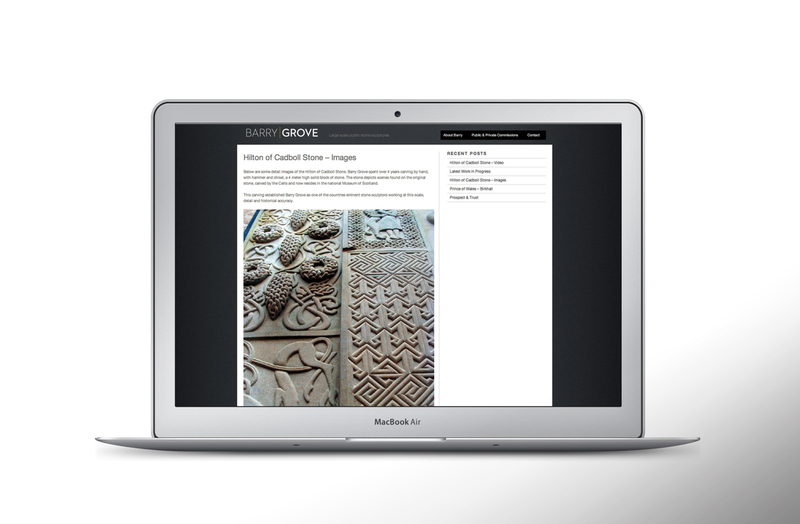 Barry Grove is internationally regarded as one of the finest large stone sculptors working today. 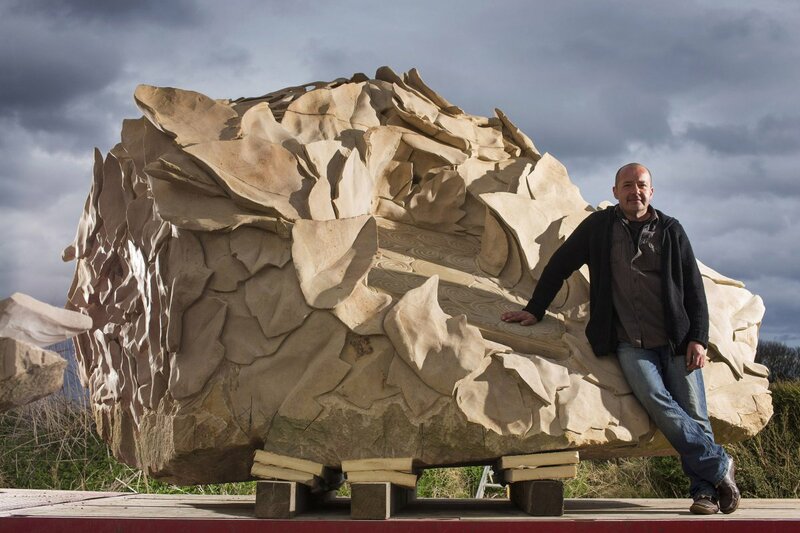 Barry has been carving large stone projects for over 20 years and since graduating with a BA(Hons) in Design from Dundee Art College in 1989 has been specialising in traditional Scottish carving. He has worked closely with Historic Scotland and respected experts in this field on a variety of projects over the years as well as accepting numerous private commissions which includes commissions by the Royal family, large international corporations and high-net-worth private clients. Barry works closely with Glenmorangie and was commissioned to reproduce the Hilton of Cadboll Stone, a project that took over 4 years to complete. 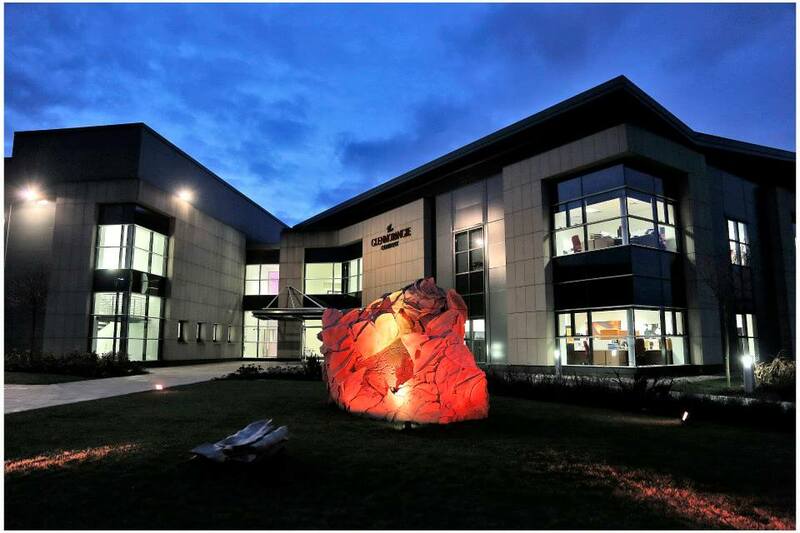 Barry was also commissioned to produce ‘Reveal’ a 25 tone stone sculpture for the new production plant for Glenmorangie in Livingston. A project that took over 2 years to complete! Barry is a brand ambassador for Glemnorangie whisky. Eric Witham Design & Marketing has consulted and worked with Barry promoting these projects on an international remit. 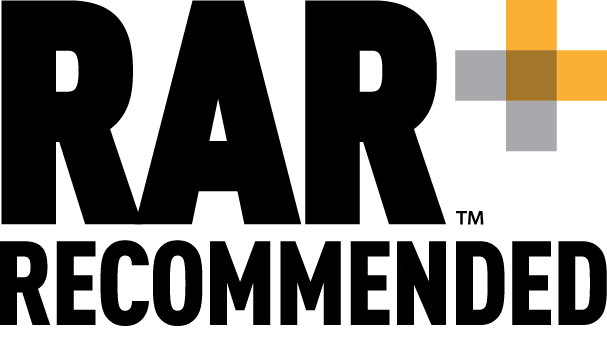 Barry currently lives and works on the Tarbat Ness peninsula, Ross-shire, Scotland. 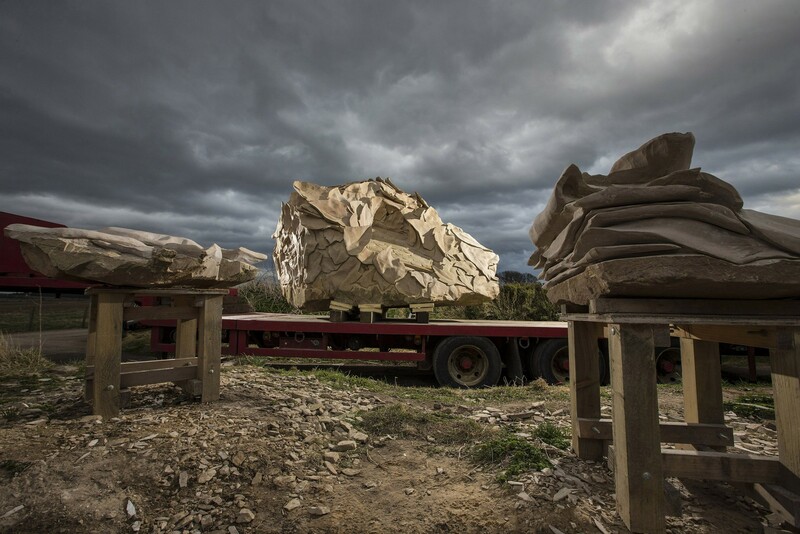 Barry took over 2 years to sculpt 'Reveal' for Glenmorangie. The Glenmorangie 'signet' brand is carved into 25 tones of solid rock. Transporting the Glenmorangie 'reveal' sculpture to its new home. The Glenmorangie 'Reveal' sculpture outside the new Glenmorangie bottling plant in Livingston, West Lothian. Barry sculpted the Glenmorangie 'Signet' branding which appears on every single bottle of Glenmorangie whisky throughout the world. 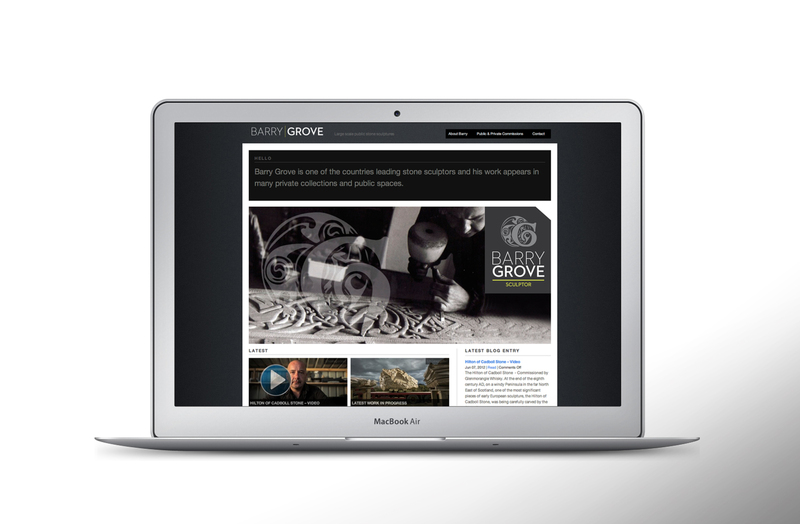 We designed the website for Barry Grove and created his branding. The header images rotate and we have video content of Barry at work. 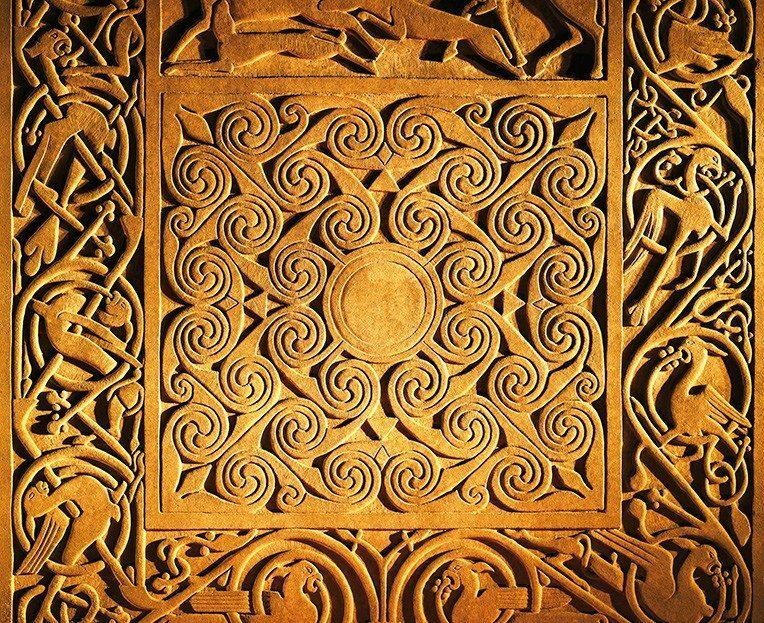 The website shows detail of Barry's work, including this piece from the Hilton of Cadboll stone that took 4 years to carve.